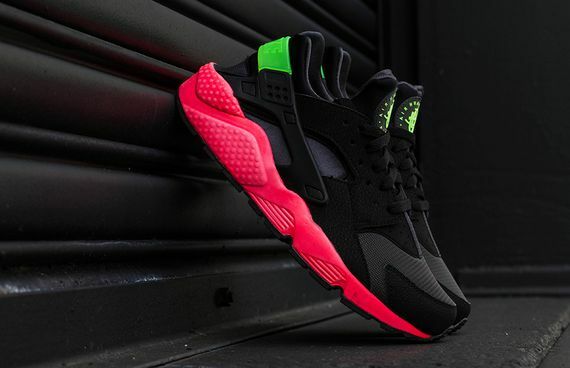 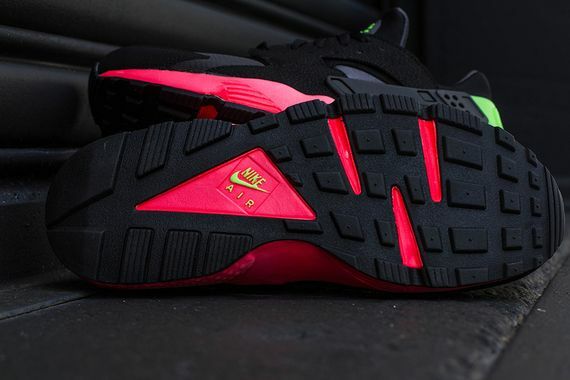 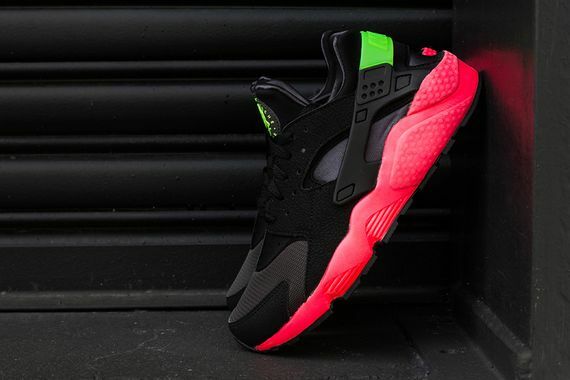 Nike Air Huarache - "Hyper Punch"
The Air Huarache has seen a steady stream of fresh colorways, but that doesn’t make this latest offering any less jarring. 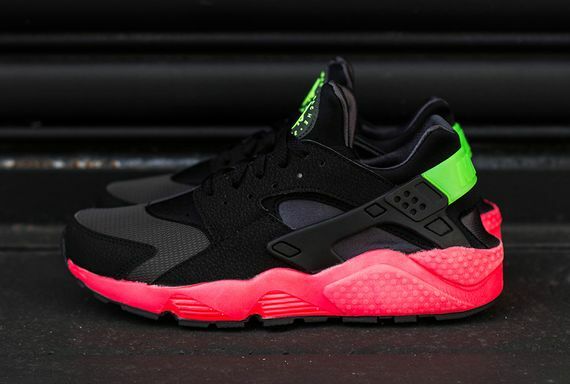 The bold “Hyper Punch” aesthetics see a punchy pink midsole teamed with tonal black uppers and splashes of electric green. 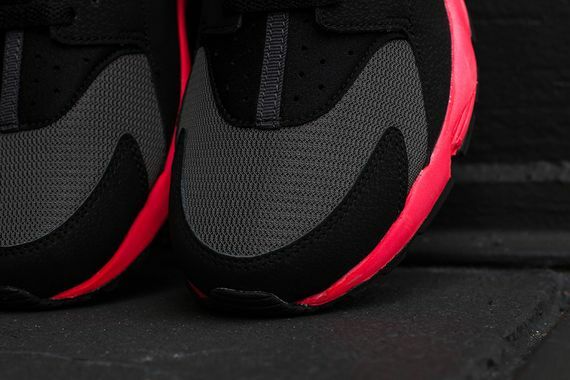 The stark contrast between these colors lends itself well to the silhouette, and if you’re feeling them don’t hesitate to cop yours now.